A network sound installation by David Worrall. When algorithms are employed as formal compositional devices they provide mechanisms for revealing an inner nature: of sound, of material, of process, of our perceptions, of our systems of symbols and metaphors. By placing an emphasis on active listening rather than the sending and receiving of messages, an artist can be freed from the bounds of mere self-expression and the work can become revelatory. David Worrall. Part 1: A stand-alone voice-synthesis bagatelle. Part 2: A single multiple-roomed space through which an audience can be wander at will, adding their own utterances to the ongoing feedback network translation resonance. Part 3: An virtual (internet) space version of Part 2. Spatially dislocated "audience" can locate any number of portals for both exciting and auditing translation network resonances. 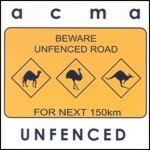 * This introductory section was released in 2008 on the Australasian Computer Music Association's double CD Unfenced. I am sitting in a room different from the one you are in now. I am recording the sound of my speaking voice and I am going to play it back into the room again and again until the resonant frequencies of the room reinforce themselves so that any semblance of my speech, with perhaps the exception of r-r-r-rhythm, is destroyed. What you will hear, then, are the natural resonant frequencies of the room articulated by speech. I regard this activity n-n-n-n-not so much as a demonstration of a physical fact, but more as a way to s-s-smooth out any irregularities my speech might have.